Janet Yellen will be blamed by both the right and the left if the economy does not fulfill her hopes. Janet Yellen, the first woman to chair the awesomely powerful Federal Reserve, reminds us of a wicked one-liner made famous by Clare Boothe Luce and Oscar Wilde. “No good deed goes unpunished.” Yellen, who has been trying to do the right thing, bravely defied the conventional opinion of hard-money conservatives. But the Fed chair sets up the central bank to be the convenient political goat if her decision to raise interest rates turns out to be wrong. Yellen did so too. But this episode is utterly upside down. The Yellen Fed raised its key interest rate only a tiny bit, in order to demonstrate its confidence in the US recovery, not to hinder it. Financial markets went along with the happy gesture and rallied on the event (though all the market gains were erased by the following day). The trouble is, Yellen’s optimism is founded on a shaky premise. The official unemployment rate, now seemingly relatively low at 5 percent, does not reflect the “new normal,” in which millions have simply stopped looking for jobs or are involuntarily underemployed. Furthermore, wages for working people have remained flat or falling. In other words, the economy is still very soggy, despite nearly a decade of easy money with borrowing rates held near zero, thanks to Fed policy. This was a great time for stock-market investors (but not working people), and they have enjoyed the bubble of rising share prices while it has lasted. Yellen wants to restore “normal,” but the question is, for whom? Now that it’s raised the federal funds rate for the first time in almost a decade, the Fed has to manage the downside risk—the risk of undercutting the struggling recovery—and that may prove to be far more treacherous. The US economy looks healthier, but it exists in a world economy that is still threatened by deflation—falling prices, slowing growth, and vulnerable debtors. We are still in the era of deleveraging—still working off the false enthusiasms that led to the financial crash of 2008. Once again, the United States is playing locomotive, but the United States itself is a weakened, chastened engine. Yellen’s wishful posture is doubtless grounded in hard facts and sincere convictions. Nevertheless, she will be blamed by both the right and the left if the economy does not fulfill her hopes. The central bank might once again become the fall guy for economic failure, though the blame should rightly be shared with elected politicians, Republicans and Democrats. It does seem unfair that the Federal Reserve may be punished by events when it alone was trying to do the right thing during the crisis by stimulating economic growth with cheap credit. Meanwhile, the elected sides of government—the president and Congress—were obsessed with the wrong-way objective of reducing federal debt and spending. With few exceptions, politicians of both parties were refighting an old ideological battle. That is, they were pulling in the opposite direction from the Fed, guaranteed to make things worse if they succeeded. As a longstanding critic of the central bank’s conservative biases, I found myself in the odd circumstance of leading cheers for the Fed. For several years under Ben Bernanke, and then again under Janet Yellen, Fed governors discreetly implored the elected politicians to intervene with aid to reduce the mountain of failed mortgage debt or adopt easier terms for debt forgiveness. Neither the Obama White House and Treasury nor Republican leaders in Congress were willing to respond in meaningful ways. In fact, both political parties acted as though they didn’t hear what the Fed was telling them: Get real. Spend money, lots of it. The Federal Reserve will back up your efforts with easy money and low interest rates. Instead, President Obama and GOP leaders preached a scolding reactionary sermon of debt reduction and fiscal restraint. The Fed eventually stopped asking. Yellen decided the central bank could no longer continue to keep the spigot open for money creation, so she gently prepared Wall Street not to overreact when the Fed finally did raise interest rates. The stock-market rally suggests Yellen succeeded in her short-term manipulation of market temperament, but the risk ahead is that hard-money hawks will demand more rate increases, which could make investors decide to bail out. The Fed’s fundamental failure, however, is that its extraordinary adventure in easy money did not really jump-start the vigorous recovery (nor did it unleash the runaway inflation the right-wingers kept predicting). The ultimate result—the conclusion I expect future economists to accept—is that John Maynard Keynes had it right 80 years ago. Government can drive and manage economic recovery by creating “demand” for work and production with deficit spending on borrowed money, that is, “get the economy moving again” as New Dealers used to say. But this government spending has to be for real stuff: real jobs and wages, real roads and bridges, real customers for real goods manufactured in real factories. Republicans have always resisted this simple insight, but why did Democrats forget it? The Democratic Party tagged along behind Reaganomics, and over the last generation it has shifted rightward itself. Starting in the Clinton era, its alliance in recent decades has been with with the financial sector—banking deregulation and globalized production—which has eclipsed the domestic economics of labor and wages. Odd as it sounds, the Federal Reserve remembered what the Democratic Party forgot. But the Fed’s appropriate role is supposed to be money and monetary policy, not aggregate demand. So it risks political trouble if it strays too nakedly into the domain of elected politicians. Plus, the Fed enjoys its mystery, hiding its powerful decisions behind opaque complexity. So both sides play a policy game based on useful illusions. Everyone knows the premises are false, but both sides benefit from the cloistered relationship. Politicians say, don’t blame me for what those secret bankers did to you. The central bankers learn to shrug off the conspiracy theories. In other words, I am suggesting that the ultimate failure of the US government to deal coherently and effectively with the Great Recession is not the fault of the Federal Reserve alone or the fiscal side of government (the White House and Congress). The failure is grounded in the fact of the divided power structure itself. Politicians benefit from pretending to be powerless in monetary policy (and many politicians are indeed utterly ignorant of their own role). Central bankers presumably know better, but they also accept their role as the mysterious scapegoat for a disappointing economy. This new era of fracturing politics should challenge these democratic distortions. Reformers should create new institutional relationships. 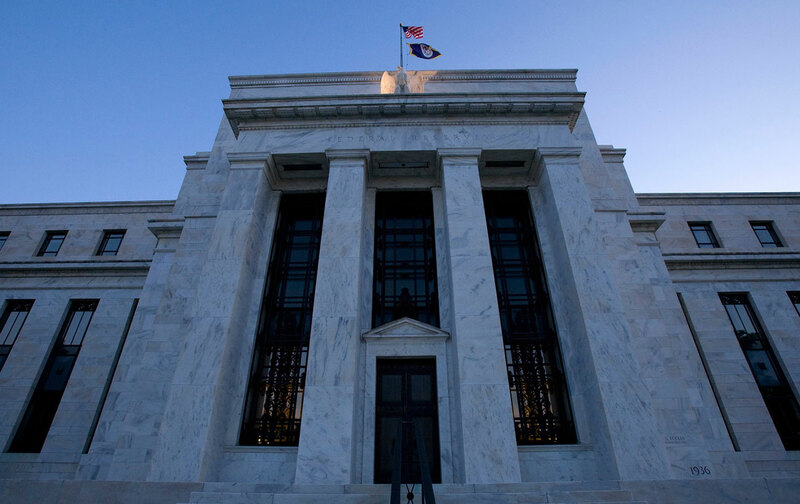 The Federal Reserve is a severe contradiction in the nation’s claim to be an open, representative democracy. Read the Constitution. People should ask themselves if the current divided and cloistered power arrangement is legitimate. Why do bankers—the very largest bankers—have this special position? More important, people should ask themselves if a reformed, small-d democratic system—fully accountable and visible—would produce better decisions for the entire country, not just the privileged few.